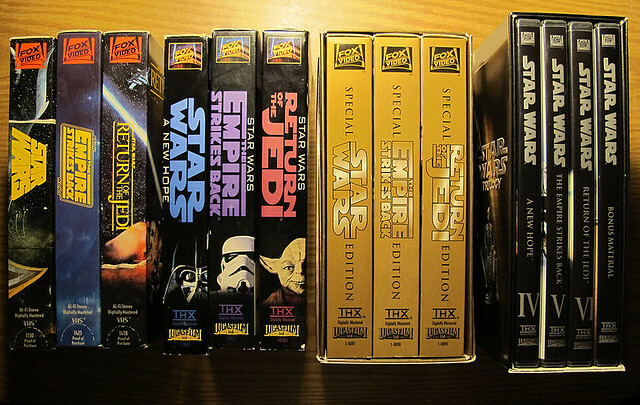 dickdavid: Star Wars On Blu-Ray - Do I NEED Another Set Of The Trilogy? 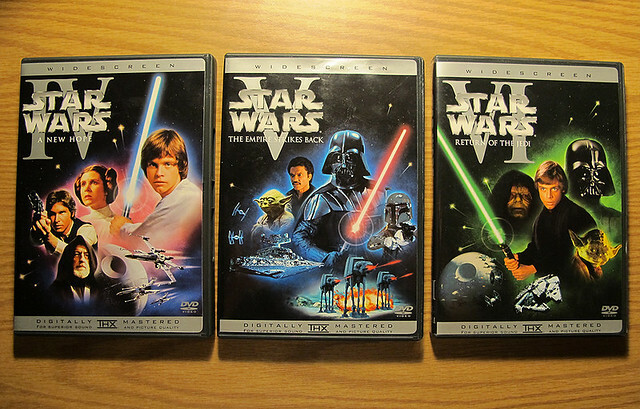 Star Wars On Blu-Ray - Do I NEED Another Set Of The Trilogy? 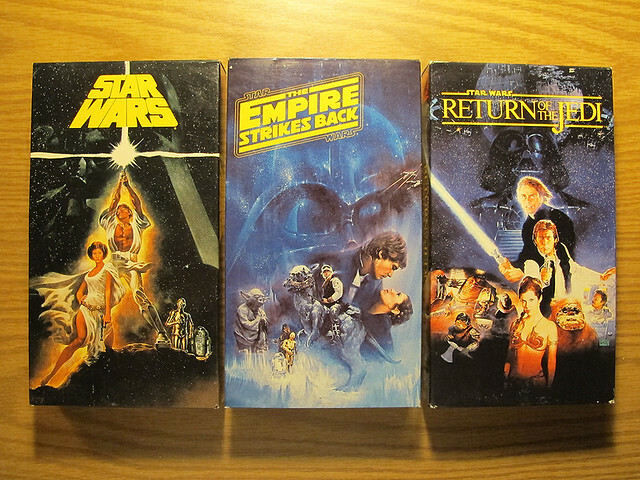 Original Trilogy on VHS. This is a full-screen version. Back then, we didn't consider the widescreen version. 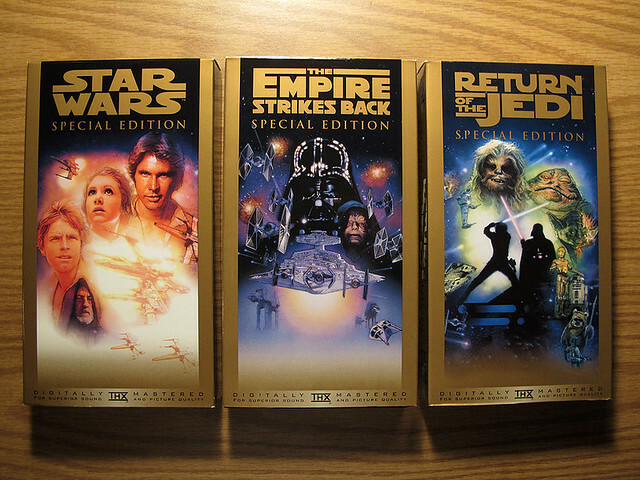 Digitally Remastered Trilogy on VHS. Still full-screen. 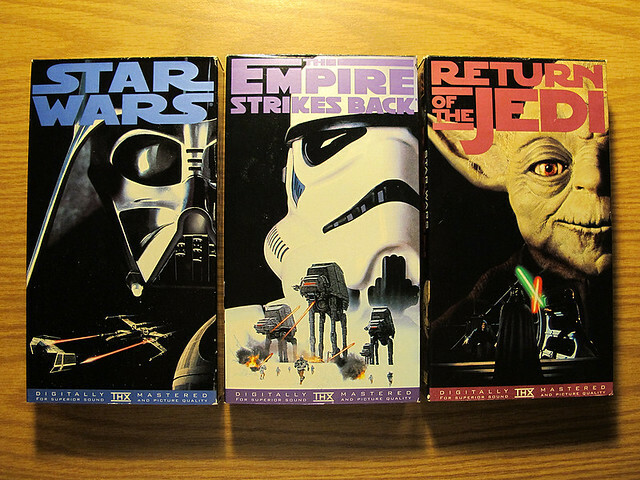 Special Edition Trilogy on VHS. This is the version that Lucas changed. Trilogy on DVD. I have to admit, the viewing experience is much better on DVD, with widescreen and better resolution. Than being said, it might be worth the upgrade.